While any structure built in a way that lessens its footprint is welcomed, some of the buildings that people try to turn green simply make no sense. 1. 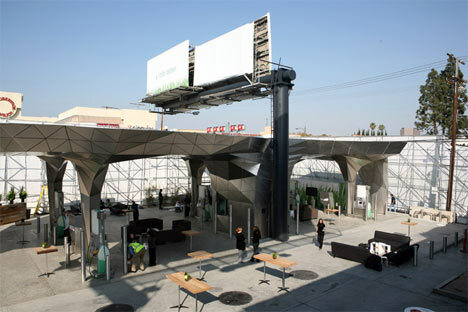 BP’s Helios House Gas Station – Los Angeles, Cal. 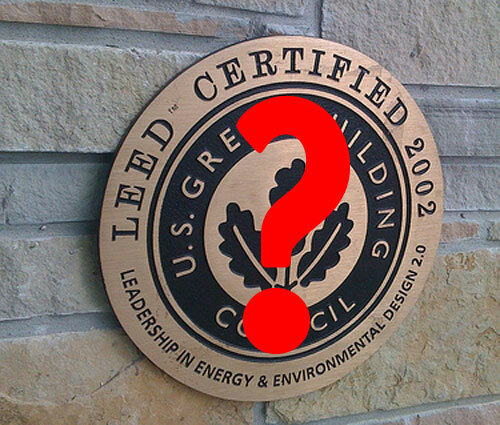 Yes, there is an LEED-certified gas station. It’s actually a nice building, complete with rainwater collection, solar panels, recycled building materials, and LED lighting. However, don’t think you’ll be able to refuel with biodiesel or charge up your electric car—they’re only in the petroleum-dealing business. How green of them, right? 2. Justin Timberlake’s Golf Course/Lodge – Woodstock, Tenn. So Justin Timberlake decided that he wants to buy a golf course and fix it up with an LEED-certified lodge. While it’s an improvement compared to most other golf courses, the fact remains that maintaining a golf course takes chemicals and lots of water. In the United States alone, golf courses total more than 1.7 million acres and consume around 4 billion gallons of water every day. How does a green lodge counteract the water used to maintain the course? Justin, if you really want to be green, you should have turned it into a wildlife sanctuary instead. 3. Nestle Pure Life Water Bottling Plant – Boiling Springs, Tenn. While this isn’t the only LEED-certified water bottling plant, it’s listed for having the most greenwashed name. Ozarka, Arrowhead, Ice Mountain, and Deer Park water bottling plants also have LEED certifications of some sort, but they couldn’t compete with Pure Life in the name department. If anyone needs a reminder of why bottling water is a bad idea, here are five reasons to ditch the bottle. Oh, and Nestle as a whole won’t be getting an award for their treatment of the planet and its people any time soon. 4. Logan Airport Terminal A – Boston, Mass. Activists in England have put their freedom on the line protesting against a third runway at the enormous Heathrow Airport; do you think they’d be more satisfied with the runway if the airport terminal was LEED certified, with solar panels and the whole bit? You’d be right to assume they wouldn’t, because whether they take off from a green building or not, airplanes are still one of the top causes of global warming. 5. Toyota Car Dealership – Rockwall, Tex. While Toyota is almost synonymous with green when it comes to cars, in reality they’re not much better than any other car company. They have a full line of vehicles, including four-wheel-drive SUV’s, some of which are 8-cylinder. In fact, their entire fleet’s average gas mileage is worse than Chevrolet’s. Perhaps they should clean up their cars before trying to green their dealerships? 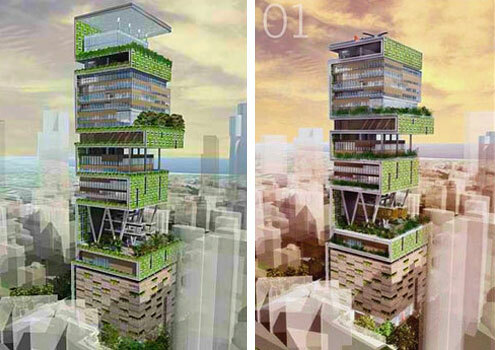 While this probably will not be LEED certified, it has been often mentioned as being one of the greenest building concepts on the planet. While it does look beautiful and will act as a giant carbon sink in the middle of the city, there’s a major problem: it will be the home of one family. No matter how green this building is, that is a complete waste of space in a city known for its overcrowding. 7. Civic Center Parking Garage – Santa Monica, Cal. 8. Vacation Home Development – Las Vegas, Nev.
You only need one house, people! 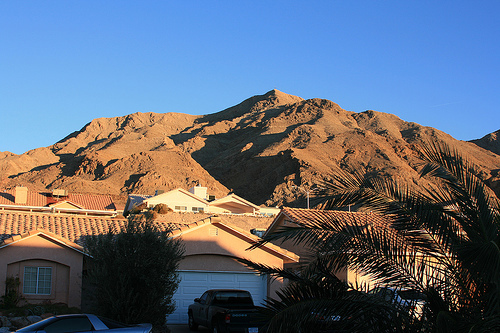 Granted that seven of these eight homes are 1/12 shares, these homes are being built in a desert (Las Vegas) and if anyone needs a water-capture system, it’s people who live there year-around. Simply due to their excess, vacation homes may be the least environmentally-friendly structures on earth. Another case of the rich attempting to make the rest of us think they’re doing the world a favor. Recreational space travel, at least with the current technology, is a huge and unnecessary carbon polluter. 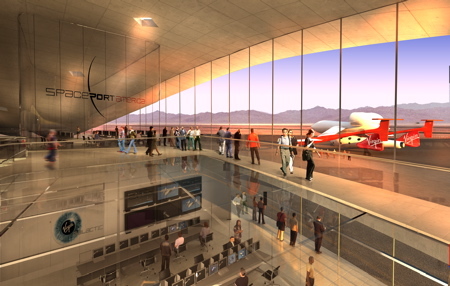 But hey, the spaceport will be LEED certified, so everything’s going to be fine, right? I know, I know — I cheated on this one. I couldn’t pick just one since they’re all ridiculous for the same reason. 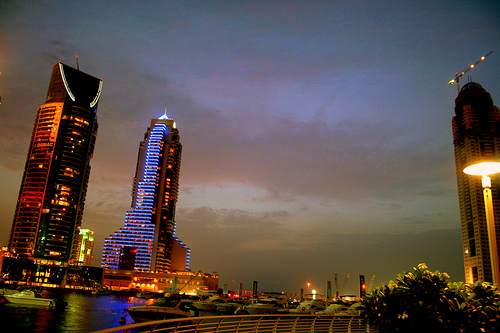 The government is intent on making Dubai one of the biggest, most gaudy places on earth. Perhaps to compensate for unending excess, they’ve mandated that all new buildings must have specific eco-minded properties, but when you take all of it in at once, you know it’s nothing but a giant waste of resources.